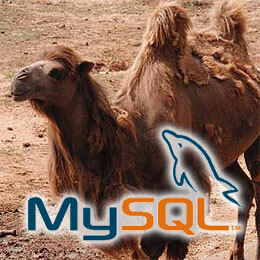 The upper, lower, or camel-casing of MySQL table names is rarely something developers consider. Unfortunately, it can cause major headaches if you are intending to port your application from a Windows or Mac development environment to a Linux or Unix-based host. This query will work correctly on a Windows or Mac host. Unfortunately, it will fail once your application is copied to Linux or Unix. Note that database, table, and trigger names are affected by case sensitivity. Columns, indexes, stored procedures, event names and aliases are not case-sensitive. Table name comparisons are case sensitive. Tables are stored on disk using the letter case specified. Table name comparisons are not case sensitive. MySQL converts all table names to lowercase on storage and lookup. Table name comparisons are not case sensitive. MyISAM tables are stored on disk using the letter case specified, but MySQL converts them to lowercase on lookup. InnoDB tables are stored in lowercase. It is therefore tempting to set lower_case_table_names to zero on your system. However, Windows users should not do that. The manual warns that if you set lower-case-table-names=0 on a case-insensitive file system and access MyISAM table names using different letter cases, index corruption may result. Nasty. Personally, I prefer to use lowercase naming conventions for all databases, tables, indexes, keys and other MySQL names. That appears to be the easiest solution. Has MySQL table casing ever caught you out?